You are currently browsing the category archive for the ‘online contests’ category. When I started this project, I honestly never believed I might win anything. Yes, I dreamed about winning the National Egg Toss Championship, and I thought I had a great chance of winning the Big Boss Potato Decorating Contest. But I never really believed those dreams might come true. They were just dreams. Even when I recently decided to start entering random online contests, my pessimism was abundant. I’ve been entering drawings and sweepstakes all my life, with nothing to show for it. I’ve never won a door prize at a company Christmas party. Never had my business card picked from the fish bowl for a free meal at my favorite lunch spot. Since blind luck had never been on my side, I figured, I might only win something on pure determination and grit. But my luck is finally looking up. Today, anyone can win. Even me. Last month, I entered Colorado artist Pam Boutilier’s online contest. 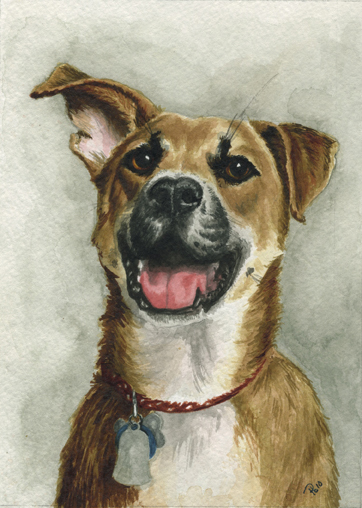 Each month, Boutiler is awarding one lucky winner a free 5″x7″ ink painting of his or her pet. The rules are simple. 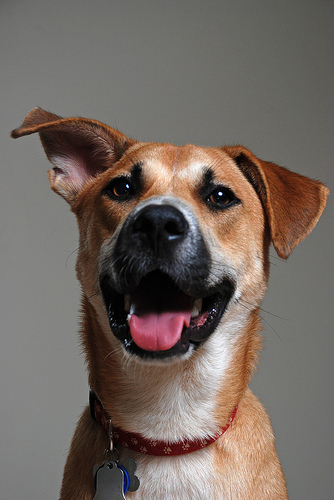 Simply submit a picture of your pet and drop Pam a line about why your pet should win. Attached is a picture of my dog Bailey. He’d been at the pound in Athens, Ga., for 2 weeks and was next on the kill list when we rescued him. My wife and I are convinced that he is a person trapped inside of a pup’s body. In addition to his many outstanding qualities, such as destroying couches, we love his most obvious physical characteristic: his right-ear-up, left-ear-down combination. Pam soon responded to tell me that Bailey is a gorgeous pup and that she would notify the winner by the last day of the month. Had you asked me before this victory, I might have told you that I would retire from Anyone Can Enter if I ever won something. Go out on top of the mountain, with some of my dignity in tact, like a graceful legend. But the taste of victory is far too sweet. Like a drug. It’s so addictive, I can finally understand why Michael Jordan made two comebacks to basketball. Why watch from your La-Z-Boy as somebody else wins it all when you know the only thing standing between you and them is a little bit of rust? I hear ya’, Mike. I hear ya’. Makes total sense now. So, rather than calling this thing quits, I’m just getting started. By this time next year, maybe I’ll even have a trophy room to rival Sue Sylvester. Whether I actually believe that or not, it’s certainly worth dreaming about. Are you a citizen of the European Union? What about Norway, Liechtenstein, or Switzerland? If yes, do you have any desire to go on a year-long vacation? Then you’d better go here. Radisson Blu Hotels is offering a spectacular prize open to anyone living in the afforementioned countries: 365 hotel nights (with 5 years to spend them) in more than 200-plus hotels. All you have to do is give one reason why you should be the winner. But even if you don’t live in the EU, you can still participate. That’s because anyone can vote on who should win. However, there are still 56 days left in the contest. That might give me plenty of time to move to Norway. We should be pulling into my sister’s driveway near Asheville right now. Instead, we’re still in Raleigh, at the mercy of a nearby Firestone Auto Care Store. There, the nail-infested rear passenger-side tire of Carie’s 2001 Honda Civic rests on the garage floor, waiting for its chance to be patched. Considering that my car refuses to operate outside a 50-mile bubble of our house, we’re forced to wait, possibly for hours, for a simple service. 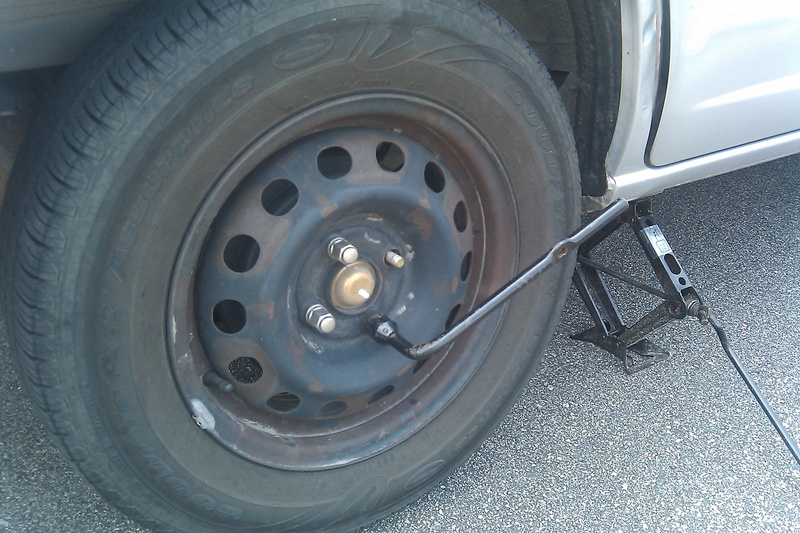 Fortunately, a flat tire won’t be able to stop us in the Idiotarod tomorrow. Also, I had a fantastic revelation as we sat down for lunch at Panera. Glancing at our receipt, I noticed that fine print at the bottom, the survey that cashiers are always telling you about as they hand you the receipt. Sure, I often think as they tell me about the thousands of dollars I might win, I’ll definitely fill out this survey later on today! And, of course, I always put the receipt in my pocket and forget about the crumpled mess until it shows up a week later as a pulpy blob in my laundry. That’s because I’m broadening the scope of the Anyone Can Enter mission. From now on, I am literally entering anything (in a non-sexual way, of course). Of course, there’s no way to enter everything. I can’t enter every single 5K, every wacky shopping cart race, and each and every potato peeling contest. But if it’s within reason, I’m in. Especially if all it requires is an e-mail address and an Internet connection. So far, I’ve been enticed by opportunities to win a trip to Hollywood for me and Bailey (our dog), meet my favorite pro anglers, and more. I’ve also learned that anyone can enter clan war, whatever that means. While I’m not confident that I have a video of Bailey funny enough to win the Hollywood trip, I do have a photo worthy of Pam Boutilier’s contest. The artist is hosting a simple contest to direct traffic to her website. 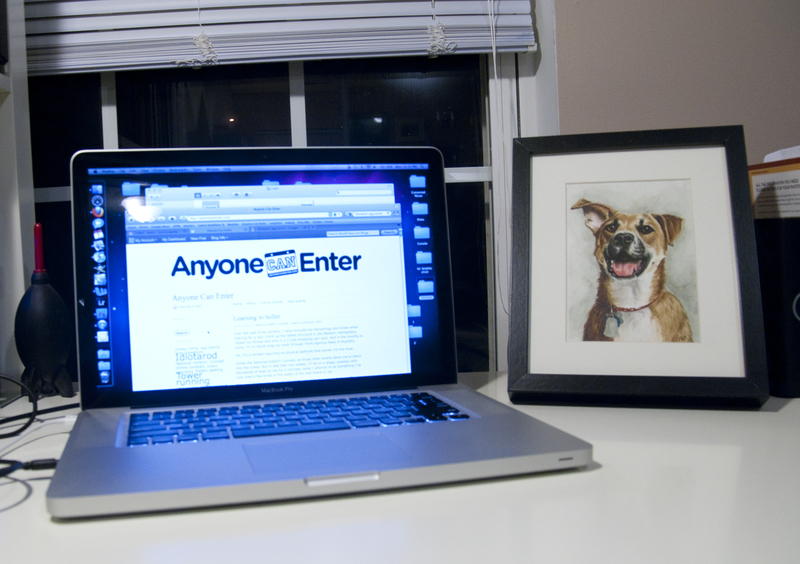 Simply send in a picture of your pet and your picture could be turned into a painting. My hopes are riding on this picture of Bailey. In the weeks and months ahead, I’ll occasionally post updates on my successes and failures in this pursuit of winning free schwag. 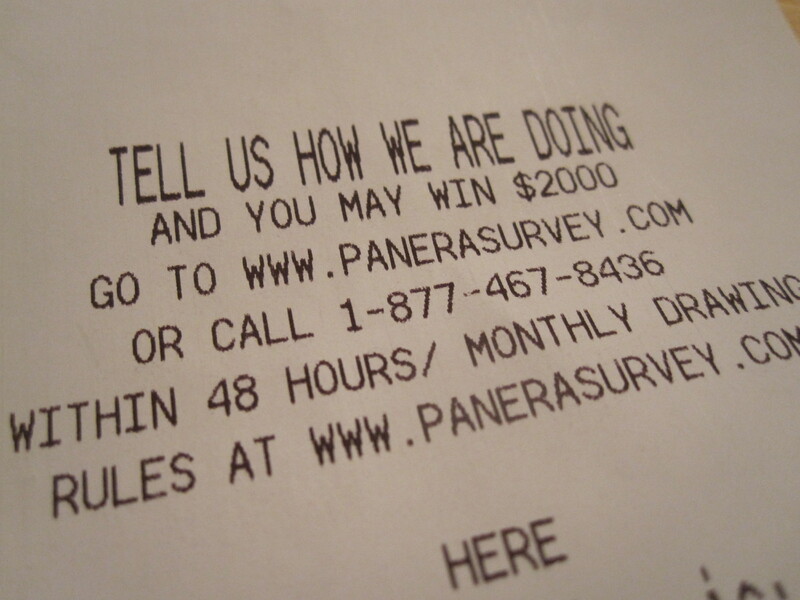 For now, I need to get my hands on this $2,000 prize from Panera. I’m going to need it for a new car.